Forget about core deposits or cheap imports. 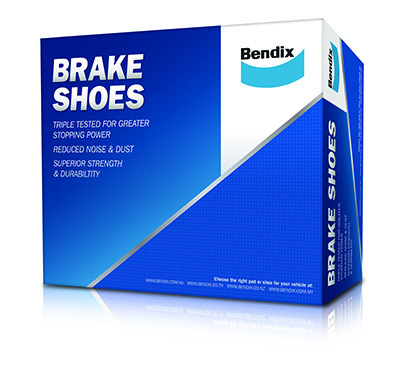 Bendix Brake Shoes can deliver all-round premium quality performance to save you time and money. This is a new range of brake shoes created specifically for most conditions to provide a fast, reliable and economical brake shoe replacement. Each set of brake shoes is boxed for easier storage and better protection. The range is extensive, covering the majority of car parc.